We like to think we are one of the best operators on Kilimanjaro. We have our own full time staff on the ground in Tanzania. Most of our staff on the ground in Tanzania have worked with us for more than 8 years and we pay them a minimum of TZS 20,000 per day. We have a range of support staff who do additional jobs on the mountain and they get paid more for this. We have private toilet crew, security guards, chefs, kitchen crew, dining servers and we always have 1 to 1 guide to client support on all our summit nights. We also carry bottled oxygen and monitor each client day recording each person’s oxygen saturation and heart rates. This is all done by our professional mountain guides. Read some REVIEWS. Ian Taylor Trekking have funded college courses for many of our staff. We have put people in chef college, initial guiding courses and paid for key staff to finishing their guiding qualification. We have also brought key staff members to Nepal where some have trekked to Everest Base Camp and our head guide has climbed Island peak and hopes to return to climb Mera peak with a goal of climbing Mount Everest in the near future. Not only are we supporting our staff. 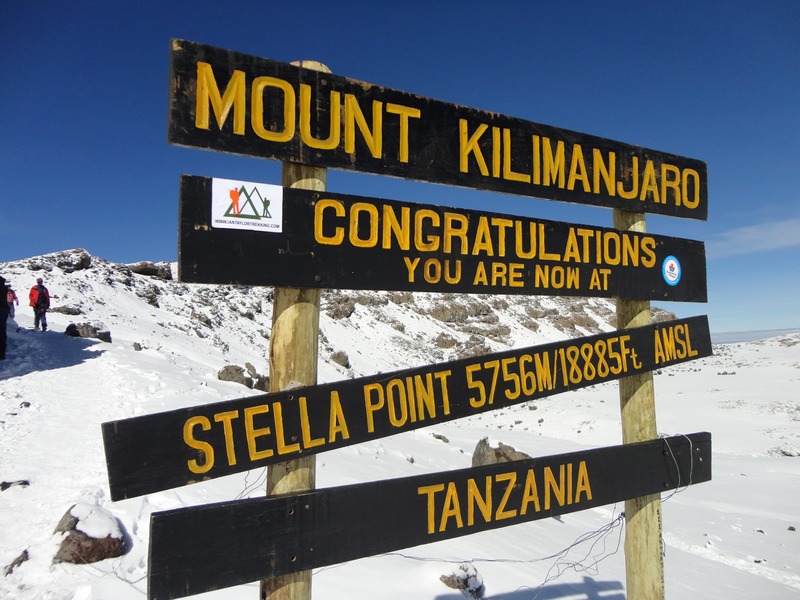 We are invested getting you the best information available prior to your Kilimanjaro climb. We office support team is ready to help you prior to the trip 5 days a week. We can schedule calls and video conferences for you. We also send you our 45 page trip dossier giving you a wealth of information on how to prepare for your upcoming climb. 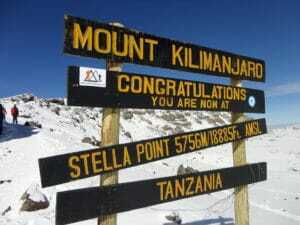 All are staff have climbed Kilimanjaro more than 5 times. Ian has climbed Kilimanjaro 30 times aiming to climb 50 times in support of water projects in East Africa. We have climbed Kilimanjaro on all routes and in all months of the year so we know how you fully prepare you for your ascent of Kilimanjaro. We know what it takes to be safe and successful. 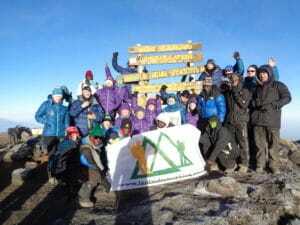 We have put over 1,600 people on the summit of Kilimanjaro. CONTACT US. We believe that the Lemosho route over 8 days is the way to go. If you are older or feel you need a little more time. 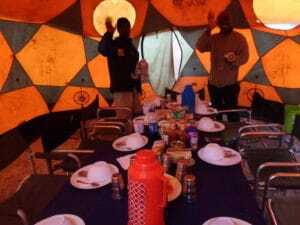 The 9 day Lemosho route climb could be the one for you. We want people to be safe and we also want each person to learn, enjoy and get the most of their Kilimanjaro experience. We have amazing staff so it is worth the time to get to know them and get the real Kilimanjaro experience from passionate locals. Our staff are like family and you will start as friends and leave as part of a larger Tanzanian family. Last but not least we have gone into great detail in providing each person with quality food and spacious tents. We use Trango 4 mountain Hard ware tents. 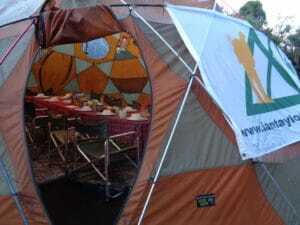 We also use a Mountain Hard ware Dome tent with nice comfortable seating. You will spend a lot time in our tents so we want to make sure you are as comfortable as possible. 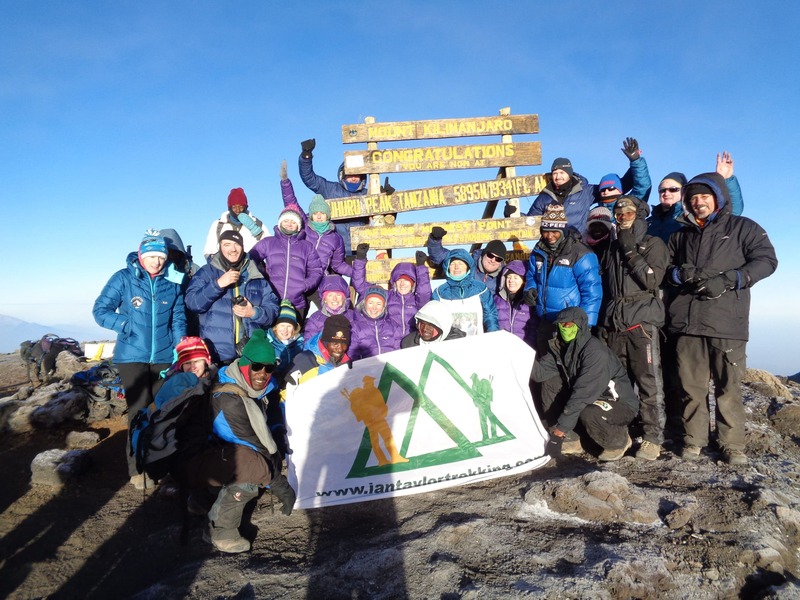 We can guarantee you will walk away from our Kilimanjaro climb after having one of the greatest mountain experiences of your life on Kilimanjaro. Let’s set up a time to chat and we are happy to answer all your questions and help you put a training plan in place to get the most of your Kilimanjaro adventure. CONTACT US.